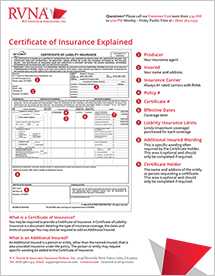 Complete the form below to request a Certificate of Insurance and add an Additional Insured to your policy. Where Should We Email the Certificate? Enter email address to email a Certificate to the event location or another email.